We spent our last night in the lovely Andean town of San Martin drinking locally made beers and talking politics in the Fass Bier bar, before having some typically Patagonian food in one of the town’s best restaurants, El Regional. It seemed like a fitting end to a fabulous few days in this extraordinary region. We were heading south to Bariloche, and our final internal flight back to Buenos Aires, before departing for the European winter. 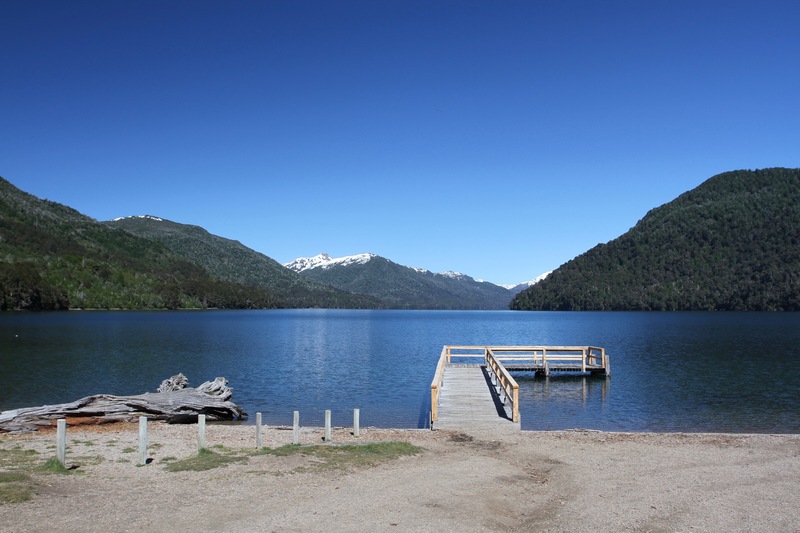 First though, was the pleasure of driving back along the Ruta de los Siete Lagos into the Parque Nacional Nahuel Huapi. 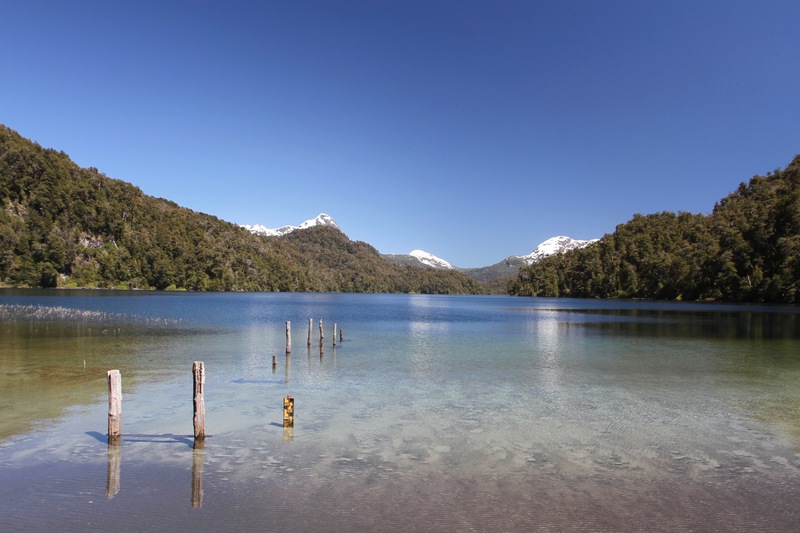 Leaving San Martin you drive for a few kilometres along the shores of Lago Lacar, the road rises upwards before turning away from the water through wooded hillsides en route to Lago Machónico. Here we stopped at the mirador to take in the views, before heading off-road along the Rio Hermoso to the beach on Lago Hermoso. To describe the view down the lake to distant snow capped mountains as beautiful simply doesn’t do it justice. I could have spent hours drinking in the vista. 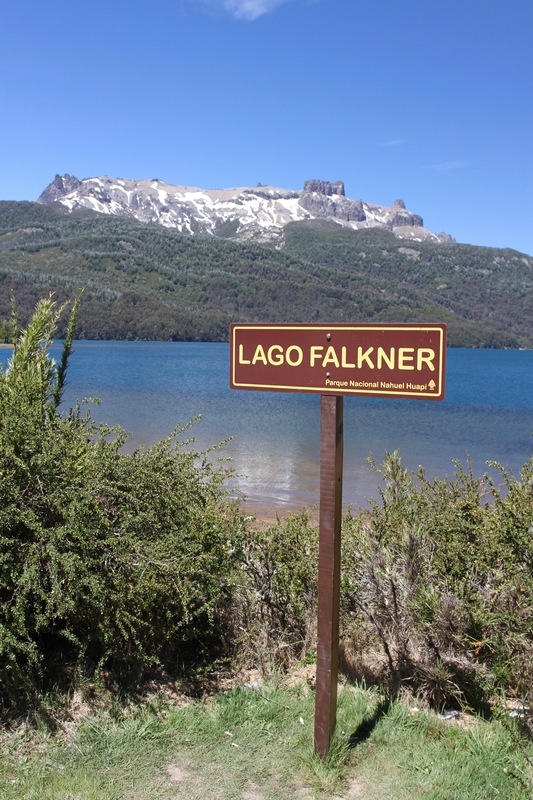 The Ruta de los Siete Lagos is the sort of place where superlatives become redundant through overuse, and it wasn’t long until we reached the even more enchanting view over Lago Villarino and Lago Falkner. 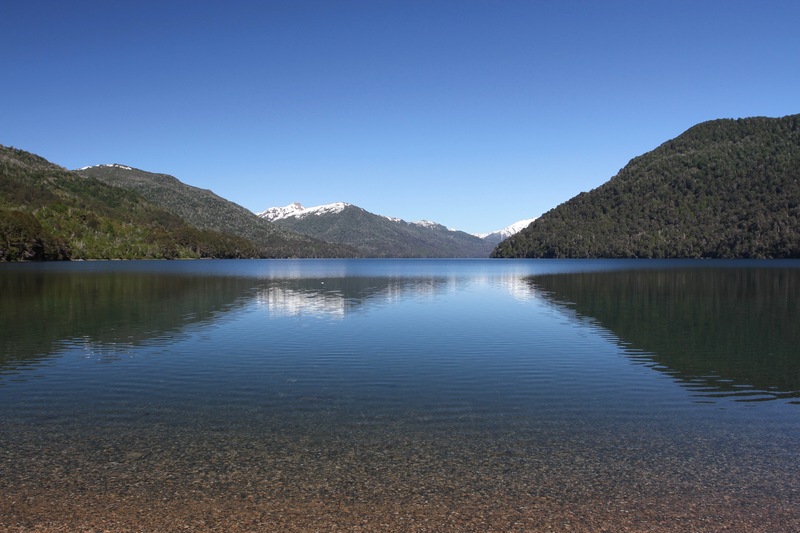 The two lakes are separated by a short river over which the Ruta 40 passes on a narrow strip of land. 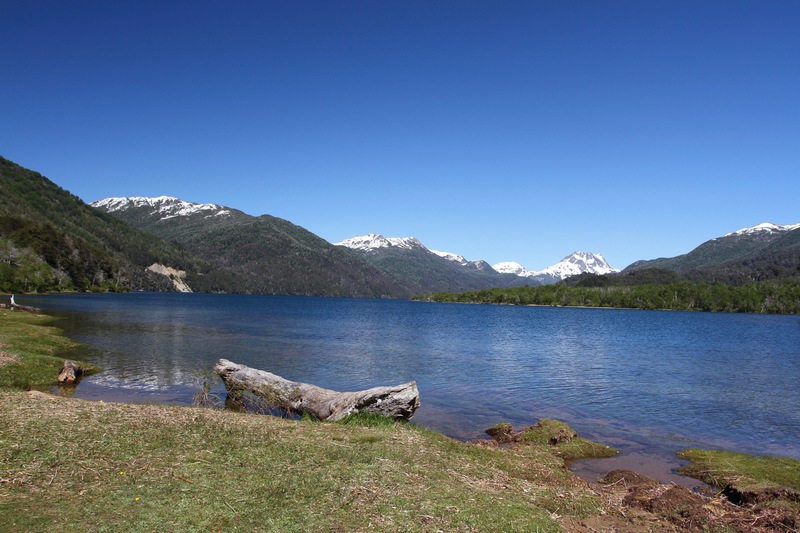 The lakes and their surrounding mountains are mesmerisingly picturesque, we’d brought lunch with us and we almost had a picnic on the shore of Lago Villarino. 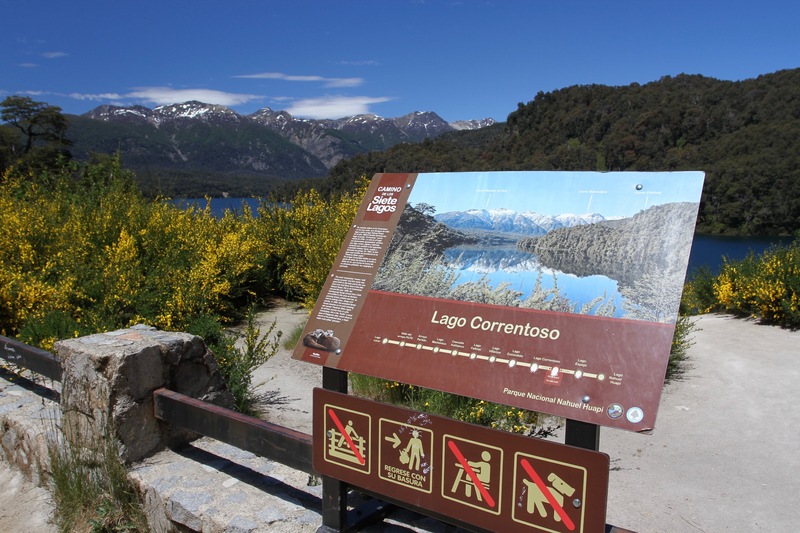 In the end we decided to carry on to Lago Espejo Chico. This, it turned out, was an inspired choice. 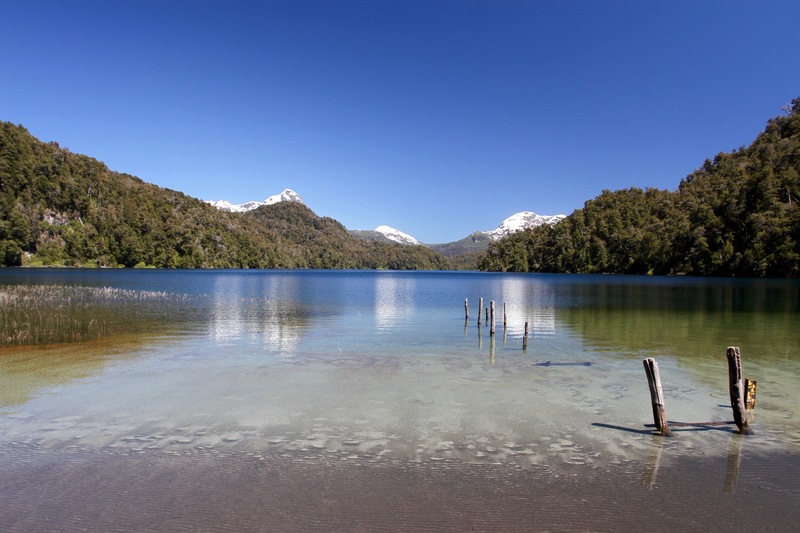 On the banks of one of the most beautiful of all Patagonian lakes, we sat in glorious silence and ate our lunch under a bright blue sky. The pristine waters of the lake were so clear we cold see every detail of the lake floor. It counts as one of the nicest settings for a meal ever. It only lacked a chilled bottle of something sparkling. 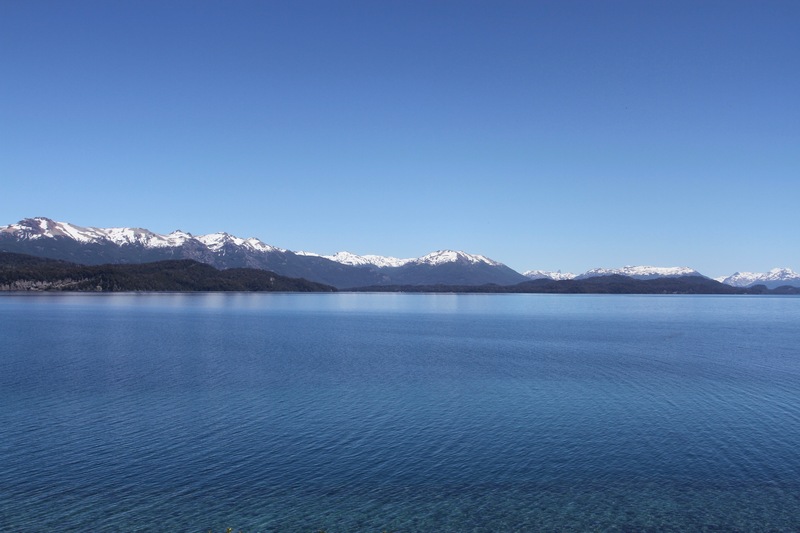 After lunch we took a stroll on the lake shore before heading along the final stretch of road to Villa La Angostura, where the Ruta de los Siete Lagos ends. Just outside the town the road is joined by one that comes across the border from Chile. The change is almost instantaneous. There is far more traffic and a lot of heavy vehicles. After the Ruta de los Siete Lagos it feels like you’re abruptly thrust back into the real world. It’s not a pleasant experience. 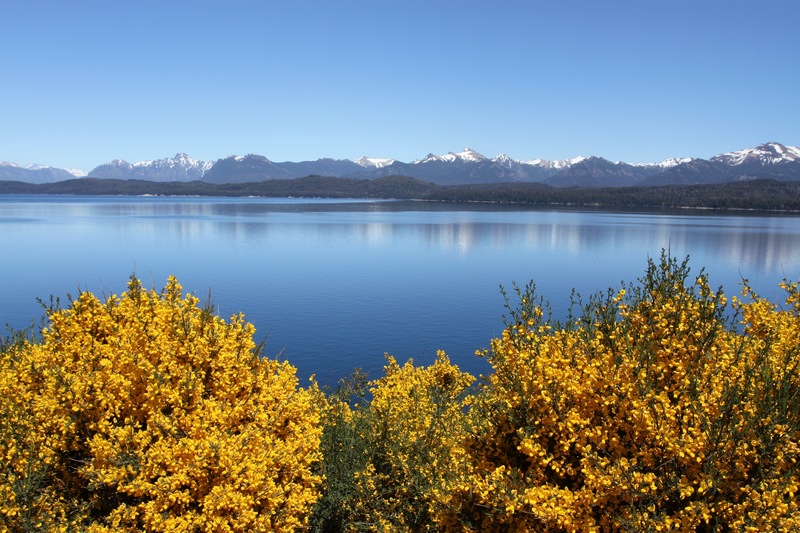 The route south towards the airport at Bariloche traces the shore of Lago Nahuel Huapi, it would be our final view of the Lake District. It’s taken me a long time to visit this extraordinary region of this extraordinary country, I hope to be back soon. The Ruta de los Siete Lagos is one of the most dramatic and beautiful road trips in the world. 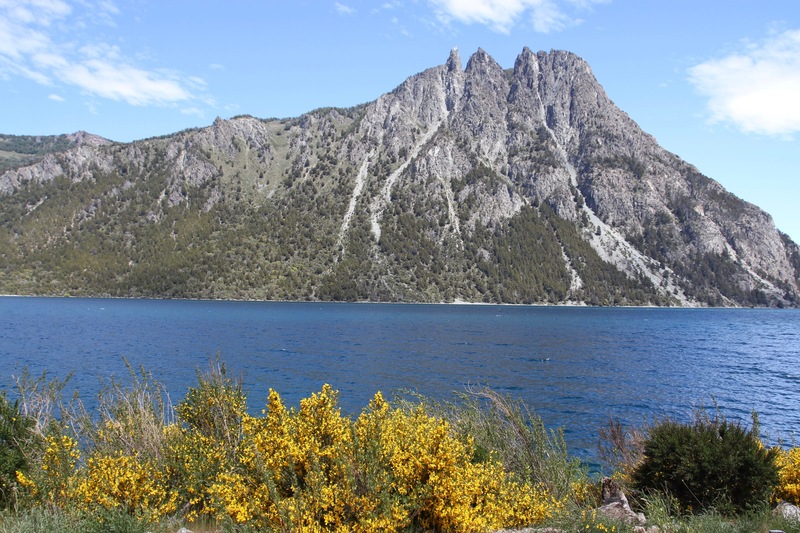 The sheer grandeur of the spectacular Andean landscapes through which you pass en route from Bariloche to San Martin de los Andes is, quite simply, breathtaking. I’ve waited twelve years to make this legendary trip, ever since I ran out of time on my first visit to Argentina. I’d seen photos, heard reports from other travellers, and my expectations were high. I need not have worried, the sun shone in a blue sky and our journey was accompanied by snowcapped peaks, wooded hills and aquamarine lakes. 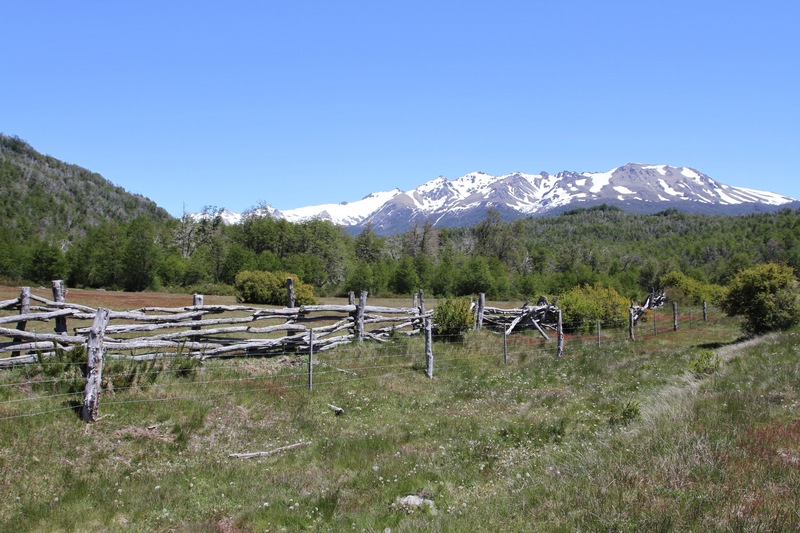 The landscapes are vast in this part of the world, and in winter they can be very hostile, but on a glorious early summer’s day the 200km route from Bariloche to San Martin is simply extraordinary. 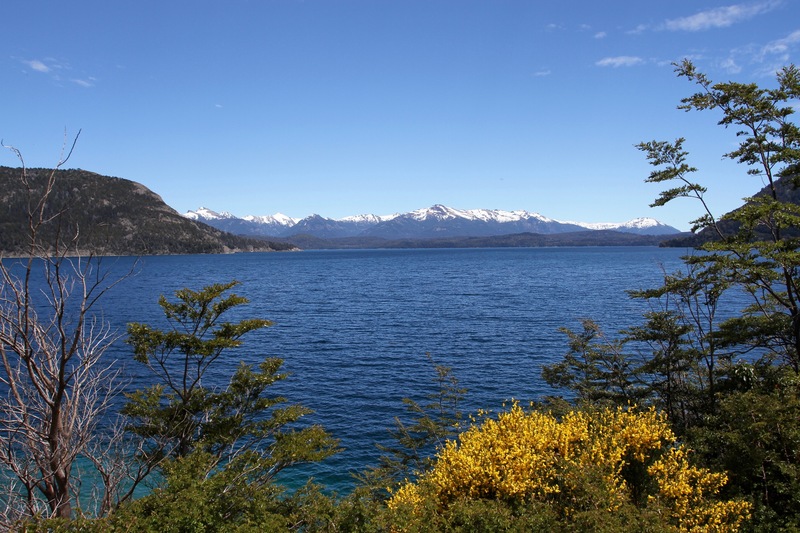 The Seven Lakes route officially starts in Villa La Angostura, a bustling tourist village on the shores of Lago Nahuel Huapi, and covers around 100km of winding roads through the heart of the Argentinian Lake District – although the first 100km to reach Villa La Angostura is almost as dramatic. 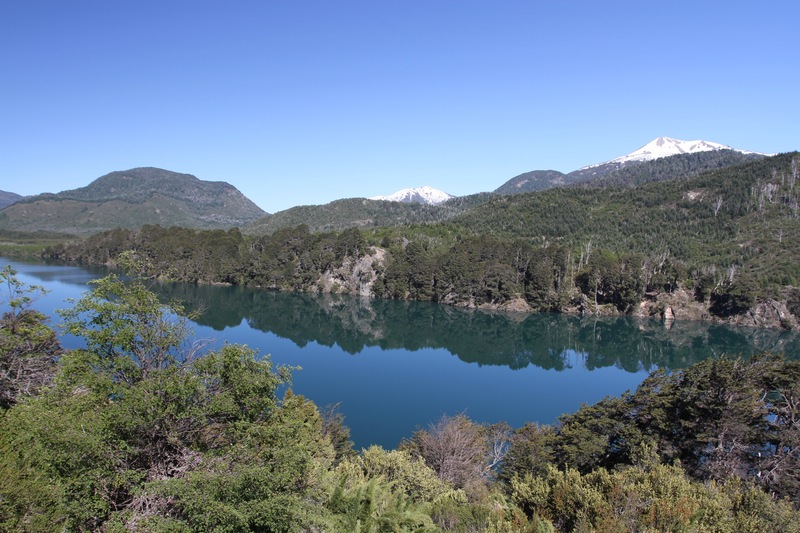 The route takes you past more than the seven lakes it’s named after, but those seven – Nahuel Huapi, Espejo, Correntoso, Escondido, Villarino, Falkner and Machónico – are magnificent sights in their own right. The road is remarkably free of heavy vehicles, and remarkably well maintained. Only light tourist traffic seems to use it, which makes it a perfect route for cycling. We saw a number of cycle groups, as well as individuals. From the comfort of a car it was easy to envy them, but the climbs on the route are severe. We decided that, since we’d be coming back along this same route, we wouldn’t spend too much time stopping and exploring on this leg of the trip. We were keen to reach San Martin in good time, but the journey is so beautiful we couldn’t help but stop to take in the views, and take more photos than was entirely necessary. There are places where you can stop and hike to various sights, including the Cascadas Ñivinco, a series of dramatic waterfalls. 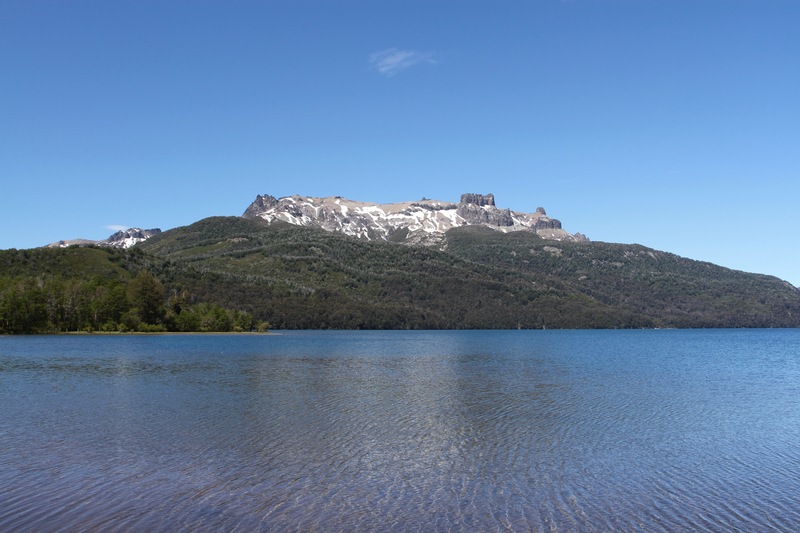 We reached San Martin around lunch time, the final section of the route runs down hill alongside the huge Lago Lácar. 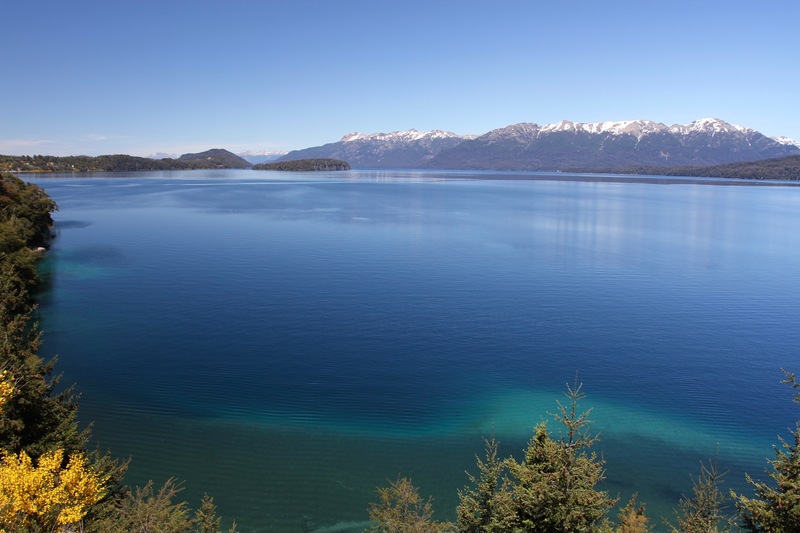 The attractive town nestles at the eastern end of the lake, while the western end almost reaches the border with Chile. It’s a fantastic sight. 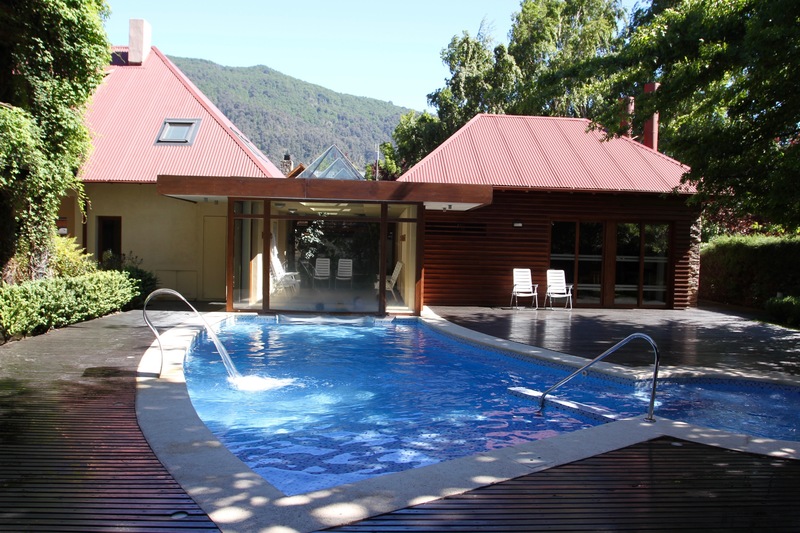 Keeping with the luxury travel theme of the rest of our trip, we’d booked into a spa in San Martin, with a heated outdoor swimming pool. Perfect for floating and watching the stars at night. We checked in and went to explore the town. 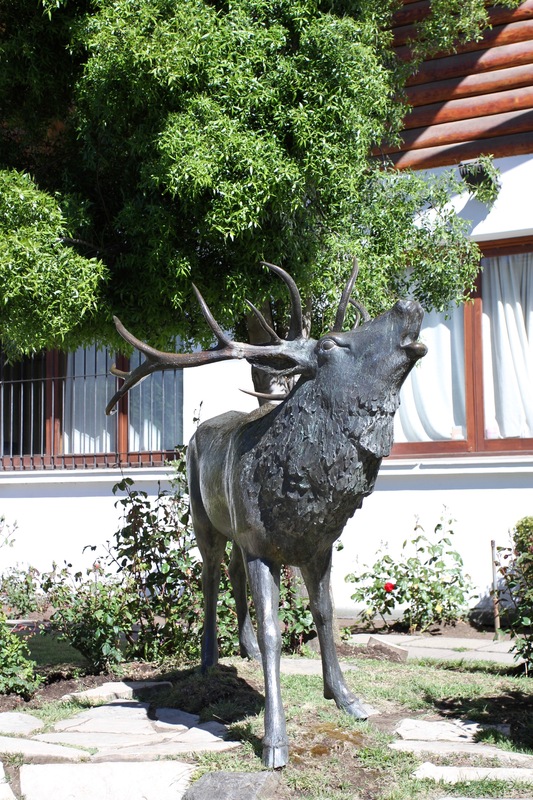 San Martin was founded only in 1898, when a border dispute with Chile forced the Argentine government to settle the region. Before that, few Europeans had been into this area and it was still populated by the indigenous Puelche peoples. 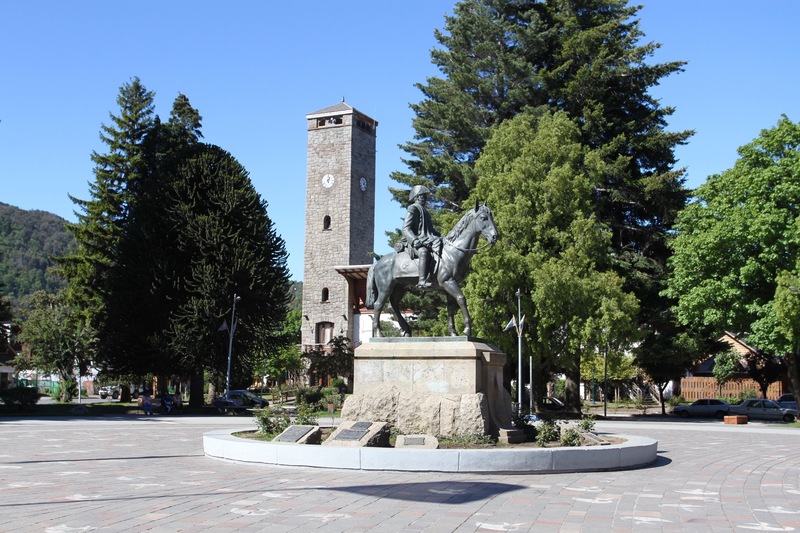 It’s a small and sleepy place of around 25,000 inhabitants and, like Bariloche, it depends entirely on tourism for its modern existence. 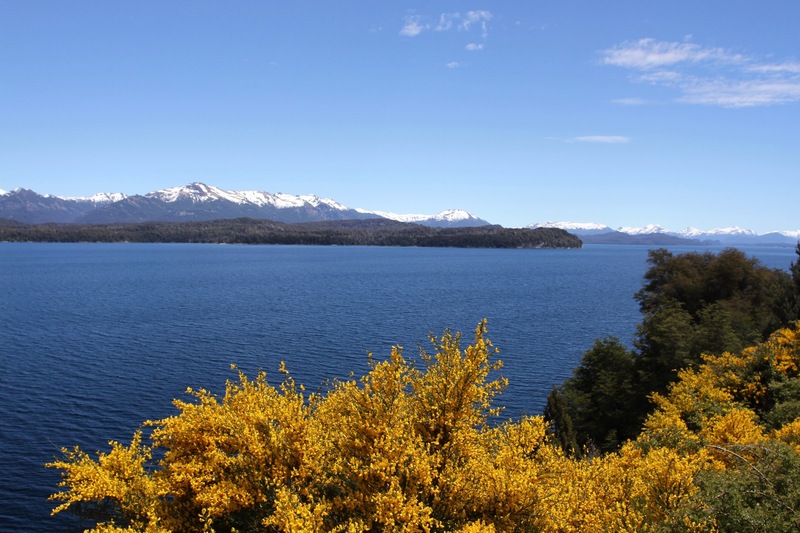 Unlike Bariloche, it has retained much of its original charm. 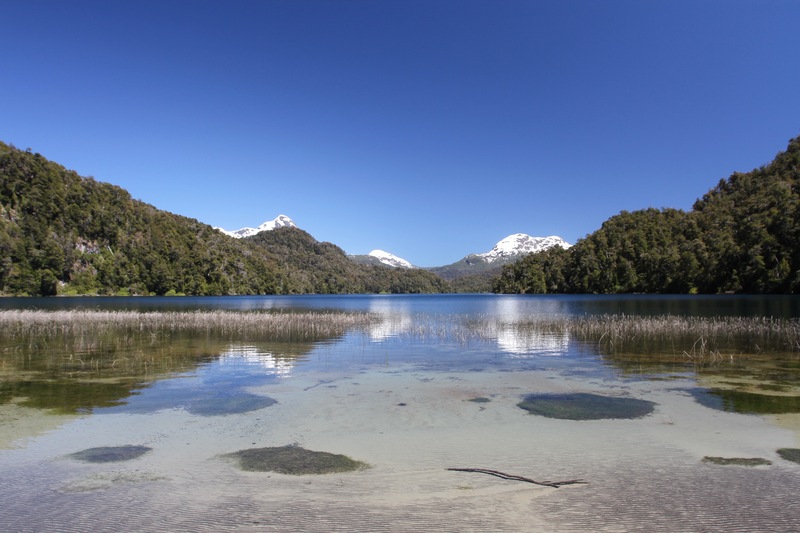 We met several people who’d relocated here from Bariloche for that very reason. 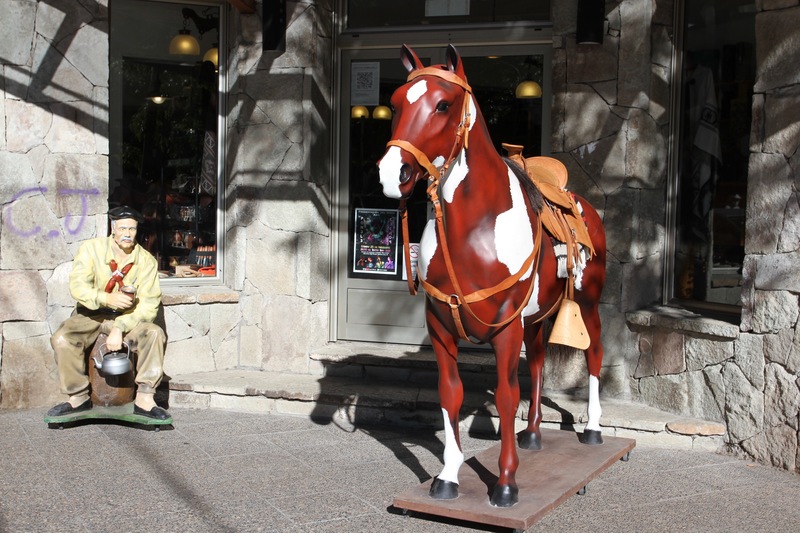 We stopped into the tourist office to get some advice on excursions, as well as eating and drinking options in town. There’s no shortage of restaurants and cafes, even the ubiquitous microbrewery movement has made its way here. 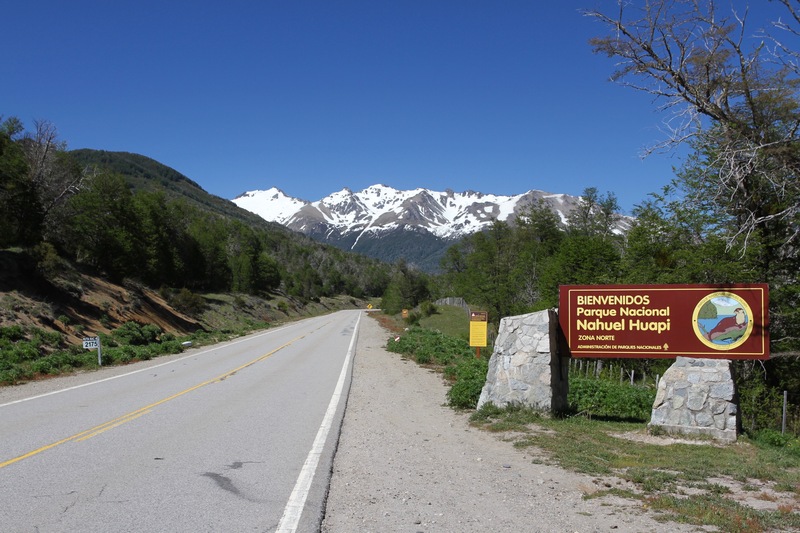 We found an outside table ordered food and Patagonia beer, and planned our trip into the Parque Nacional Lanin for the following day.